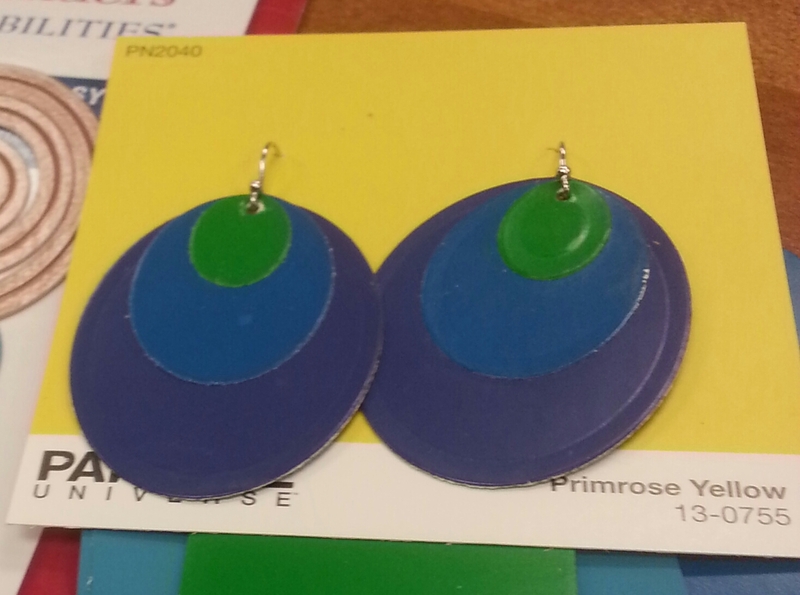 Paint chip earrings are fast and easy to make. You can even “card” them on a paint chip sample to make them a perfect little summer gift. 1. Using the Grand Calibur, and Classic Ovals SM, cut oval shapes from paint chip samples with dies #1, #2, and #3 from the set. 2. Glue ovals together to create 2 layered paint chip ovals. 3. Using a small hole punch, punch a hole at one end of each oval. 4. Insert Earring wire in each oval. 5. Embellish with bling if desired. 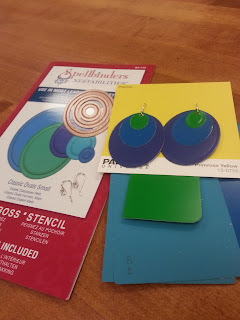 Here's a video from Spellbinders Try it Tuesday with more ideas for creating fun summer crafts with paint ship samples. 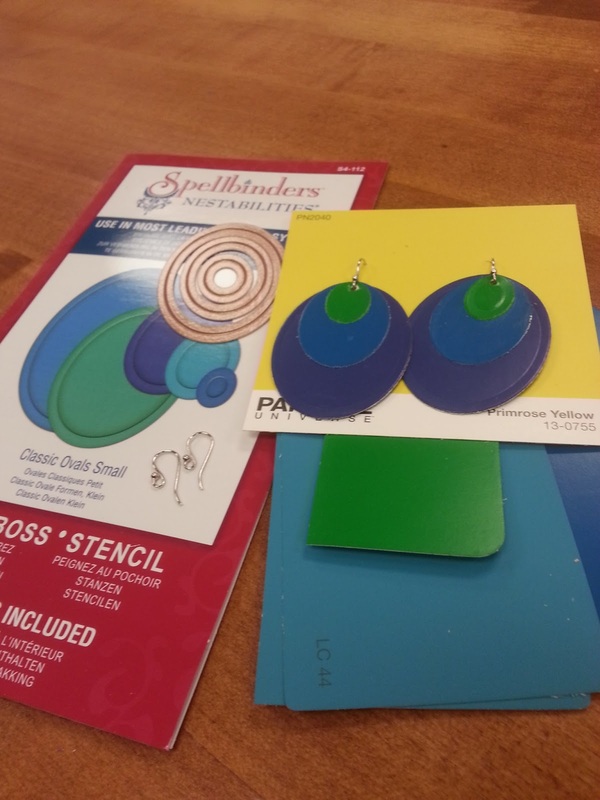 Cool tip: use other Spellbinders Nestabilities® dies to create different shaped earrings.